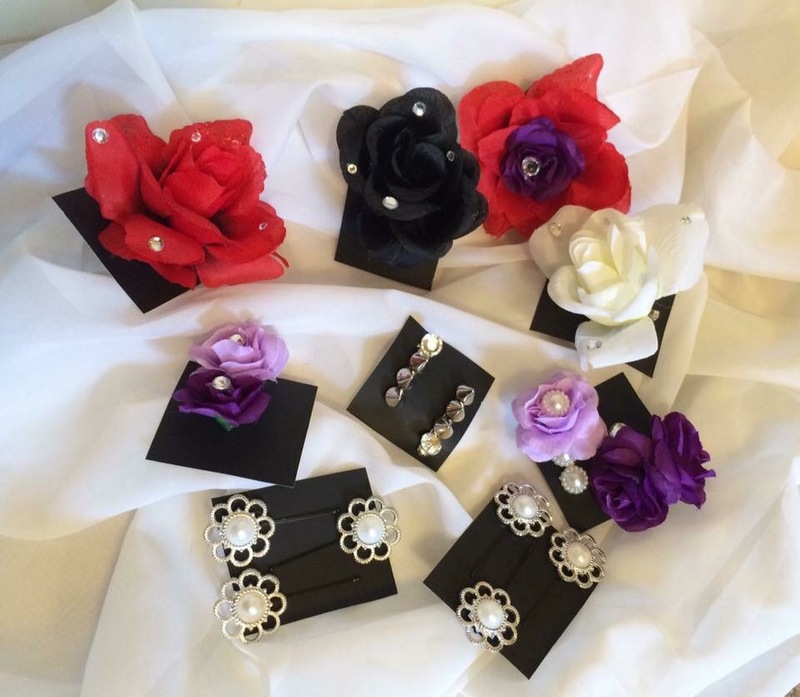 Hair Flower – Midnight Munchies & More! This is one of my most favorite crafts! Mostly because it saves me money and keeps me fashionable! I start by buying fake flowers from the dollar store or Walmart, depending on what they have available and what color and style I’m looking for. I usually already have bejeweled diddys in my craft box but you can buy them at Walmart for a few bucks. 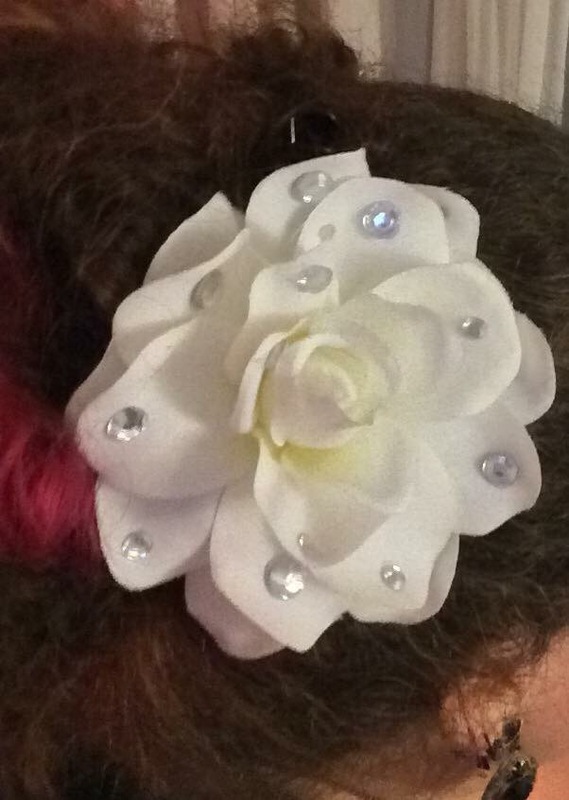 So I cut the stem off of the flower and hot glue it to a hair clip. Any type of hair clip will work. It’s up to you what to use based on what kind stays in your hair best. Pretty much anything stays in my crazy frizzy hair but you may need more of a clip that closes well around your hair. Then I hot glue the bejewels on random petals and you’re done!